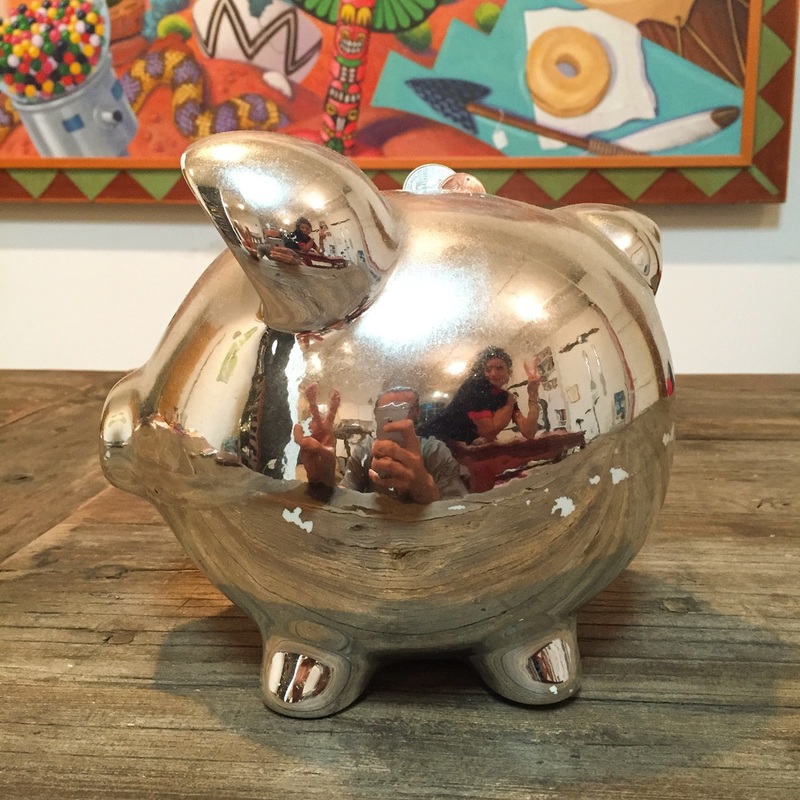 How much money in the piggy bank? Last night, after everyone picked up their new pieces of furniture and decor, we were eating dinner as this piggy bank was staring at us. We knew it couldn't be that it was hungry, because believe us, you can barely fit another penny in there... no joke! For the past 5 years we have been feeding this little guy well, and now with our Leaving Wooster venture, there isn't a better time to finally crack him open. Well, at least figuratively. This piggy isn't meant for breaking! Instead, it has a resealable cap on the bottom— which is kinda magical, because just like us, he too will empty out and start from scratch, light as a feather and carefree! So here's a fun idea: last night as we were fooling around trying to guess how much money our little friend holds, we suddenly thought - how much cooler would it be if you all took a guess instead?? So here's the deal: come this weekend we will walk our pig to the nearest bank (nearest because he is heavy!). We will empty him out into one of those cool machines that automatically counts coins, and voila! We will have our exact figure.